It is amazing that less than 100 years ago, the diagnosis of diabetes was a death sentence, but thanks to Dr. Fredrick Banting, that is no longer true. Wednesday was National Diabetes Day. On December 20, 2006, the United Nations (UN) passed a resolution to designate November 14 as World Diabetes Day. The occasion aimed to raise awareness of diabetes, its prevention and complications and the care that people with the condition need. The Ohio River Valley T1D group, gathered at Coffee at the Lofts, on Wednesday to celebrate World Diabetes Day. Malissa Sarver, coordinator and/or executive director of the Ohio River Valley T1D group, welcomed everyone to the meeting, including those who had never attended one of their meetings before. November 14th is a significant date in the diabetes calendar, because it marks the birthday of the man who co-discovered insulin, Frederick Banting. Banting, along with Dr. McCloud discovered insulin in 1922. The month of November is National Diabetes Awareness Month. The color of blue is the chosen color for diabetes and that color is meant to evoke the color of the sky, and a circle, that is a symbol of unity. 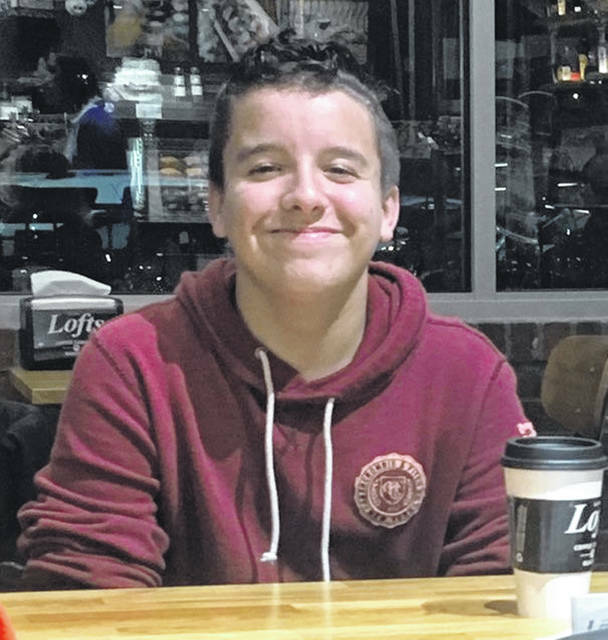 During the meeting, Caleb Powell, a freshman at Valley High School, who is a Type I Diabetic, stood up and read the history of National Diabetes Day and the discovery of Insulin. Powell first told the group that he had not let his diabetes stop him from doing anything. He says he plays football, track, swim, as well as hanging out with, including getting in trouble. Powell read of how insulin had not been discovered yet and diabetes baffled the medical community. Powell continued that it would be during the oppressively hot summer of 1921, that the world would change forever. It would be reasonable to believe the discovery of insulin came from a physician who had dedicated their life to the study of diabetes. However, Dr. Frederick Banting, a Canadian surgeon, would be dubbed the Father of Insulin. Banting, received the Nobel Prize at age 32, remains the youngest Nobel laureate in the area of Physiology/Medicine. In 1923, Canada granted Banting a lifetime annuity to continue his work and in 1934, he was knighted by King George V., therefore becoming Sir Frederick Grant Banting. Another part of this group’s meeting was to present books on diabetes to Katie Williams, Publicity/Program Manager, for the Portsmouth Public Library. Sarver had written a grant with the Scioto Foundation in which part of the funds were for the Type I Diabetes day that the T1D group had this summer, and part of the funds were for these books, the books were Type I Diabetes titles for educational purposes. Each branch of the Portsmouth Public Library will have a copy of each of the five books. 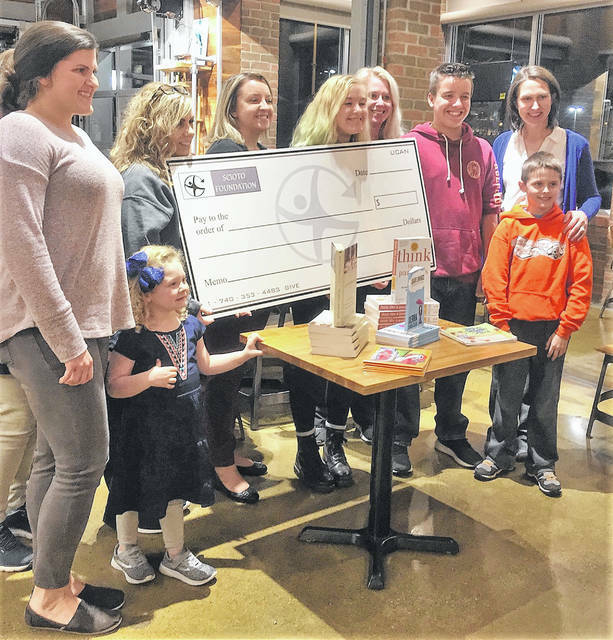 The Scioto Foundation was represented by Toni Dengel who presented a check to the T1D group to assist them in their day camp they had in the summer, and also Sarver used part of this grant, to buy the books about Diabetes. Two of the books were for elementary age children and then the other three were about living with Diabetes for all ages. The two children’s books were titled Taking Diabetes to School by Kim Gosselin and The Little Red Sports Car by Eleanor Troutt. The other three books were Sugar Linings by Sierra Sandison, Think like a Pancreas by Mary Scheiner and Breakthrough by Thea Cooper and Arthur Ainsberg. Even at this small gathering of people who belong to the Ohio River VallyT1D group, there was a variety of ages represented, that had Type I Diabetes. There were some adults who had diabetes it for over 20 years and a lady who had just been diagnosed with it a month ago. The group has a Facebook page: OhioRiverValley T1D, if anyone would like information about them.